Oh, what beautiful birds, Mick!! I do love those very colorful ones!! A wonderful world you have indeed!! Thanks so much for sharing it with us!! Hope you have a great new week!! Enjoy -- camera in hand, of course!! 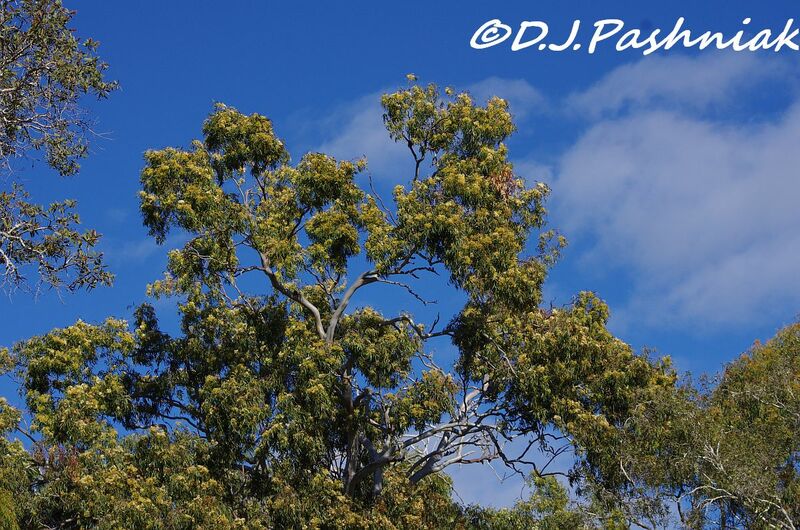 It can be very frustrating when birds are in the tree tops, even more so when looking into the sun. I sometimes think birds can be very clever and know how to avoid being looked at by feeding out of sight. Geese are especially good at this. Little Willie Wagtail is a real "belter" as we say here. We saw such interesting birds on our trip to Australia this year. You got some great photos considering they were hiding! Oh my goodness....what a difference 3 hours makes in the water level!! Wow. Those rainbow parakeets are gorgeous. Beautiful weather almost good enough for the kayak. I think even I could identify a lorikeets, just from your various posts on them (I wish I could ever have a chance to find out)! 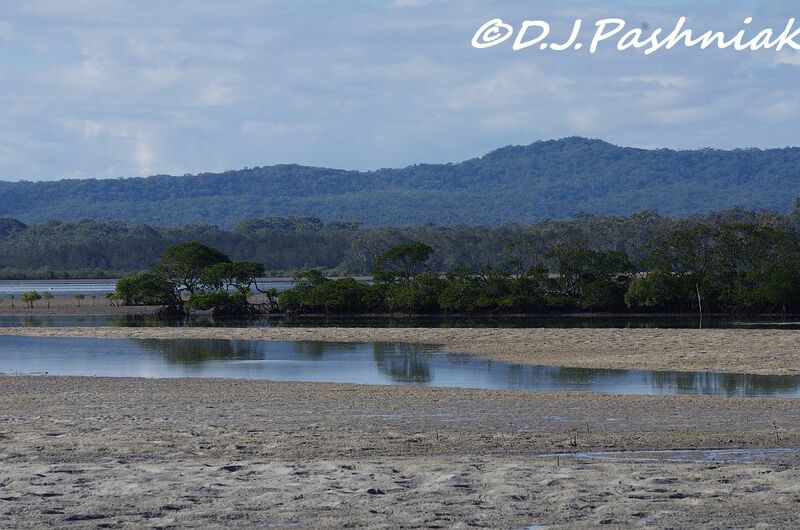 Very nice to see a high and low tides from the exact spot! High tide makes a big difference to a vista Mick. 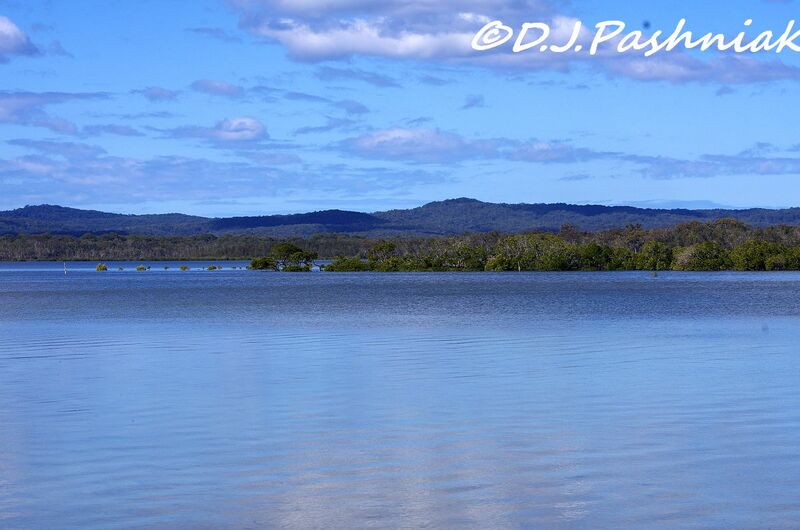 Yes we've certainly had a lovely mild winter - perfect for enjoying and capturing our vast outdoors. A temperature of 24C would be a good Summer's day here. Interesting to see the same area at low and high tides. Lovely shots of the Wagtail. What a beautiful day! 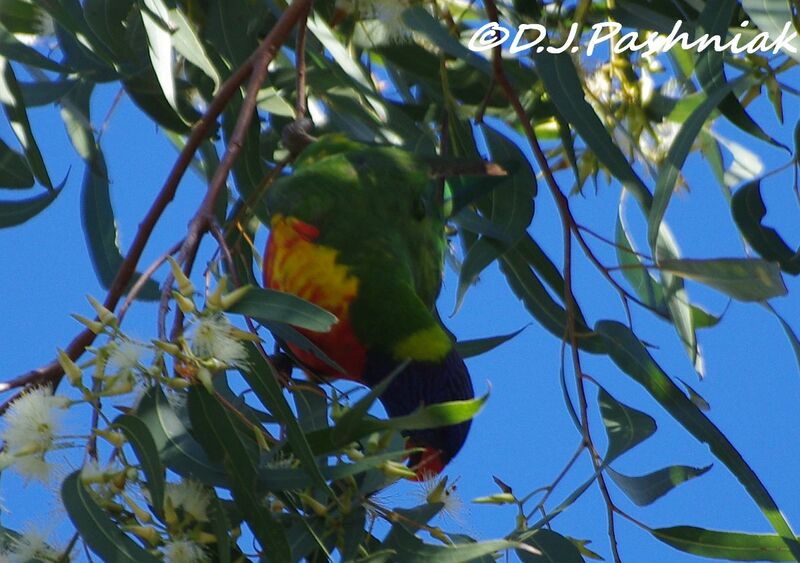 The Rainbow Lorikeets are well-named. I love seeing the cute little Willie Wagtail. 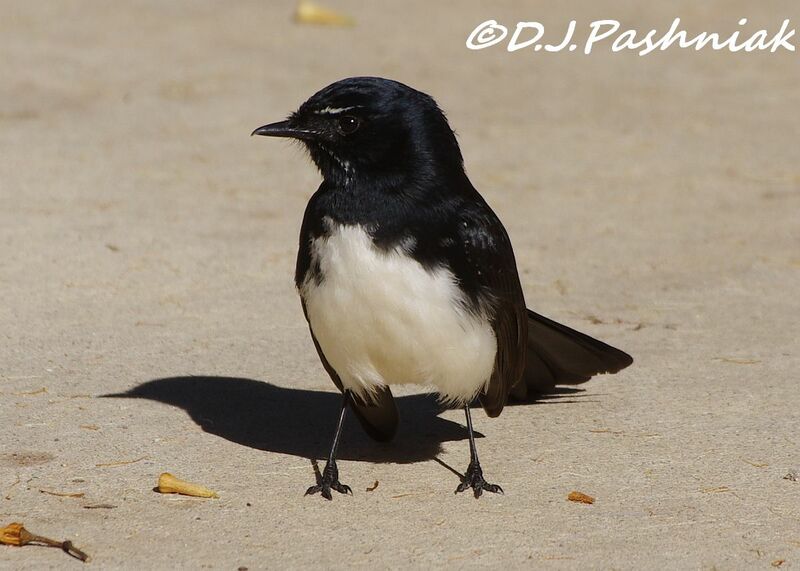 Great shots of the Wagtail. Similar in colouration to our Magpie. I love the lorikeets and the wagtail is so cute. 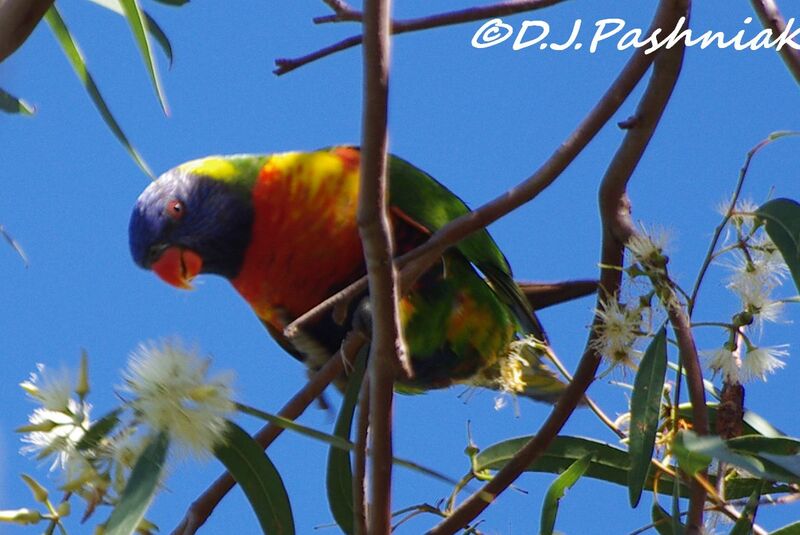 Hello Mick, I just love the Lorikeet, they are so pretty. 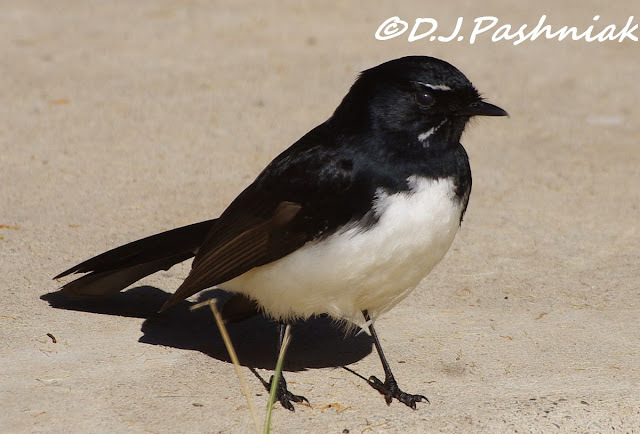 And the Willie Wagtail is a cute bird. It is neat seeing the spot with the different tides levels. Have a happy day! Thanks for visiting my site, just wished you have something in your sidebar about which place or country you are in as i can't confirm if you are from where i thought you are. The eucalyptus, the rainbow lorikeets which are my favorites, etc. I love Australia, Sydney being the first place i visited abroad. And it remained my favorite country even after so many countries after that, but i changed after the visit to NZ. But of course without Queenstown, Sydney is still my choice. 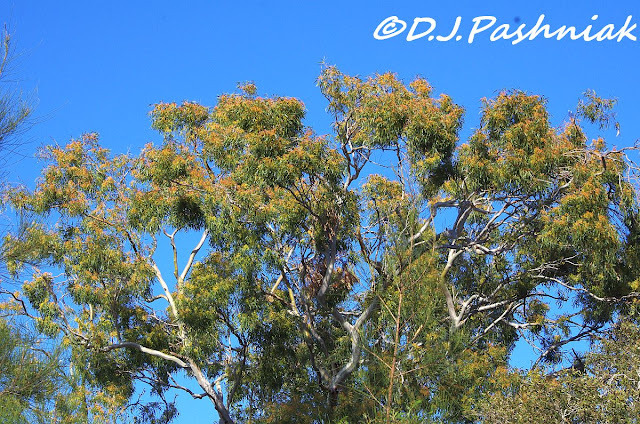 Beautiful day and birds, those lorikeets are amazing colours. 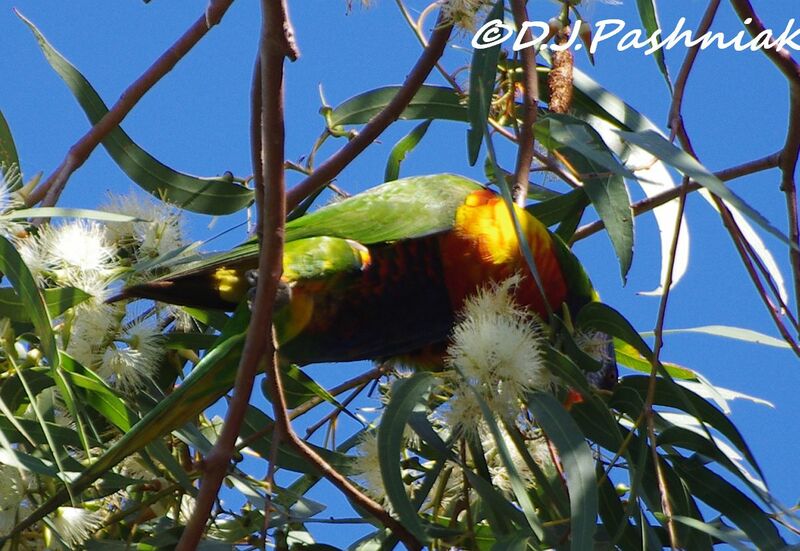 yes the lorikeet would be hard to miss! A lovely park. Such lovely photos! That Wagtail is adorable! It's easy to figure out how the rainbow lorikeets got their name! What a difference! And what a beautiful bird. True to his name. I am always surprised how hard the Rainbows can be to see in the tree tops - even if they are insanely colourful! It's great that you have photographed the area at both high tide and low tide. It really does provide a perspective for someone who has never been there. Awesome silhouettes of the birds!